MISSION VIEJO, CA--(Marketwired - Jan 19, 2015) - Franchise Business Review, a franchise market research firm, announced that TeamLogic IT joins the elite companies earning a spot in their annual Top 200 Franchise Companies List. The list, titled The Best of the Best, Top 200 Franchise Systems List for 2015, ranked hundreds of participating franchise companies by their overall levels of franchise owner satisfaction. TeamLogic IT was the top-rated franchise in technology, beating out every other technology franchise for the top spot. IT spending exceeded the $2 trillion mark in 2014, according to International Data Corp., and research firm StrateSci reported that 59 percent of small and medium-sized businesses increased their technology budgets in 2013. "We are extremely excited about our ranking," President Chuck Lennon said. "This reflects our own view of our business. Our franchisees are really enjoying what they do, and we expect to have substantial growth in 2015 with the current market conditions." 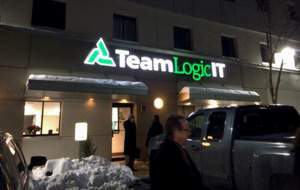 TeamLogic IT is a top-rated technology franchise that solves a major headache for small and medium-sized businesses by offering managed IT service solutions that turn technology into an ally rather than an obstacle for clients. We are a fast-growing business with franchisees who meet a universal need among today's businesses: the need for rock-solid IT solutions that prevent downtime and provide security for critical data. The Franchise Business Review Top 200 ranking puts TeamLogic IT into an elite group of the best franchise companies in the country. More than 3,000 companies franchise in the United States, but only companies with excellent fundamentals, great financial position and high franchisee satisfaction scores earn a spot in the ranking. "I am extremely proud of the franchisees I have worked with over the years," Lennon said. "They have the potential to help our business grow." For in-depth details about the TeamLogic IT franchise opportunity, download our free franchise report. You can also learn more by visiting our research pages. TeamLogic IT was named to the annual Top 200 Franchise Companies List published by Franchise Business Review. The marketing firm ranked hundreds of participating franchise companies by their overall levels of franchise owner satisfaction. Lack of reliable systems becomes lost revenue for businesses. TeamLogic IT can help businesses prevent downtime.